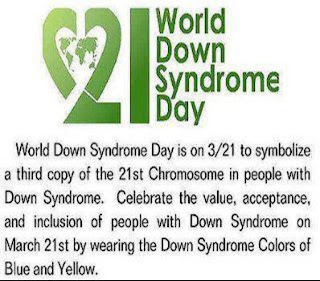 It is a day set aside to celebrate, and to advocate for, people in our world who have been born with an extra 21st chromosome. 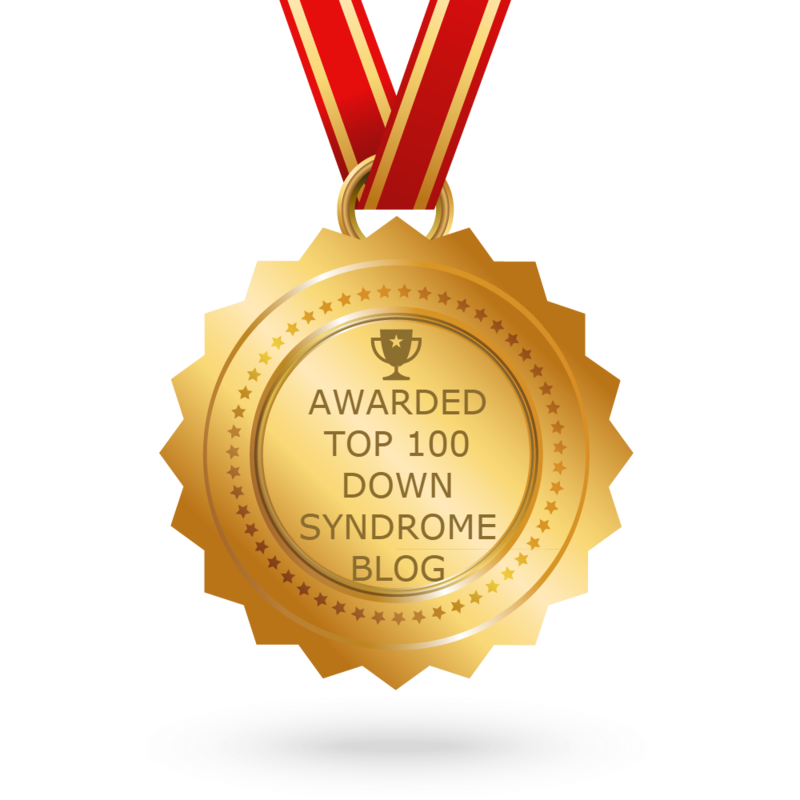 This extra chromosome gives all people with DS their common almond shaped eyes, low muscle tone and an intellectual impairment. Like all syndromes there is a spectrum of severity. People with DS are people first. They, like everybody else, have likes and dislikes. They have talents and gifts. They have emotions. They are not always happy as is commonly perceived. They do not all like music as is commonly perceived as well. Children with DS can be very head strong and do need to be managed, just like other children who have strong personalities. People with DS do learn to read, write and do math. They will just do it at their own pace. They are not tied to Government timelines for when learning should occur. They do everything to their own beat...not the world's beat. They can learn to talk clearly and effectively. You can have a conversation with a person with DS. They do love and get married. They do get jobs. They do live independently or semi-independently. They do represent their countries at the Special Olympics in a variety of sports. They achieve...they live....they love....they have great lives. But yet we kill them prenatally. People are scared of having a baby with DS. Society's perceptions are that it is going to be a bad thing. I did not know prenatally that Jessica was going to have DS and I would not have aborted her if I had known, as I personally am pro-life. But when we did find out when she was 4 weeks old, I went into deep depression. I had in my mind, told to me by society, that this was a horrendous thing for a child to be born with. I thought it meant that my baby would not learn anything, would be a huge burden on our family....basically that our family life would be bad from then on. But it hasn't been! It took nearly a year to come to terms with the diagnosis. Looking back over the past 6 years I can say it hasn't been always a bed of roses, but nor has it been for Melissa and Nick. Melissa was a very difficult baby and toddler. Jessica was an easy baby and an easy toddler. It was when she hit 4 she started needing managing...but many children of that age need managing. Jessica is in mainstream school. She has friends. She fits in. She is well behaved. She is learning, and like all children, her learning is at her pace. She is not at the bottom of the class academically. Jessica is confident. She is friendly. She loves music and modelling. She loves playing with her Ipad. She loves playing with our puppy Smokey. She loves playgrounds. She loves her baby doll. We have great expectations for Jessica. We can see her holding down a job when she is older and living a happy, productive life. Our life has been blessed by having Jessica. Jessica has opened us up to a whole new world. We have met new people, been new places, and experienced new things. We have had our preconceptions challenged and changed. My fear with the new prenatal blood-test for DS, that more innocent babies will be aborted and never be allowed to show the world how wonderful they are. We must stand up for people with Down syndrome and as a human race say that this is wrong! 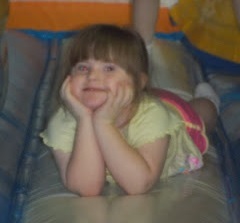 Happy World Down Syndrome Day from Jessica! This picture came my way on Facebook this week. 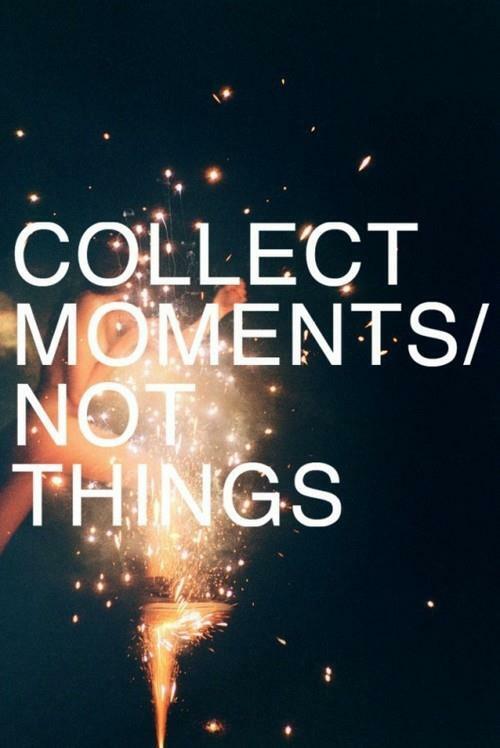 Collect Moments Not Things. It made me stop and think and take countenance of my life. Where do my priorities lie? I don't have a hobby where I collect lots of things though I must admit that I do have a liking for zebras and giraffes and have a few posters, figurines, stuffed animals and pillow pets of these around the house. As a teenager I had a liking for Garfield. When I was in my 20s I spent my spare money on Franklin Mint plates. The amount of money spent on hobbies usually depends on the spare money left over at the end of a pay or how much limit is left on a credit card. It tends to be difficult to spend a lot of money on collecting things if you don't have the money to spare. Collecting antiques, sports cars, or works of art are out of the reach of most people. But there could be little things in your life, and mine, that are stealing us away from collecting precious moments in time. 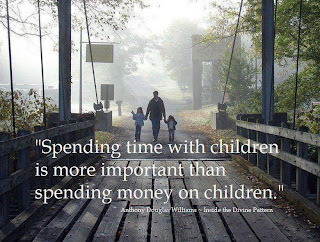 Employment with long hours, Facebook, video games, sports, excessive exercise, tv, running after children who are pursuing their own interests - dance, piano, soccer, karate, tennis....all take time out of our day. I am sure you can identify the things that take up your time. The thing is, we need to find the balance between those things we like to do or have to do, and spending time with our loved ones where precious memories are made. Sometimes it is good to ponder our moment of passing on, and to reflect on who we would want to be around us, and even what might be said about us in our obituary. Were we kind? Were we loving? Did we show an interest in our children and friends? 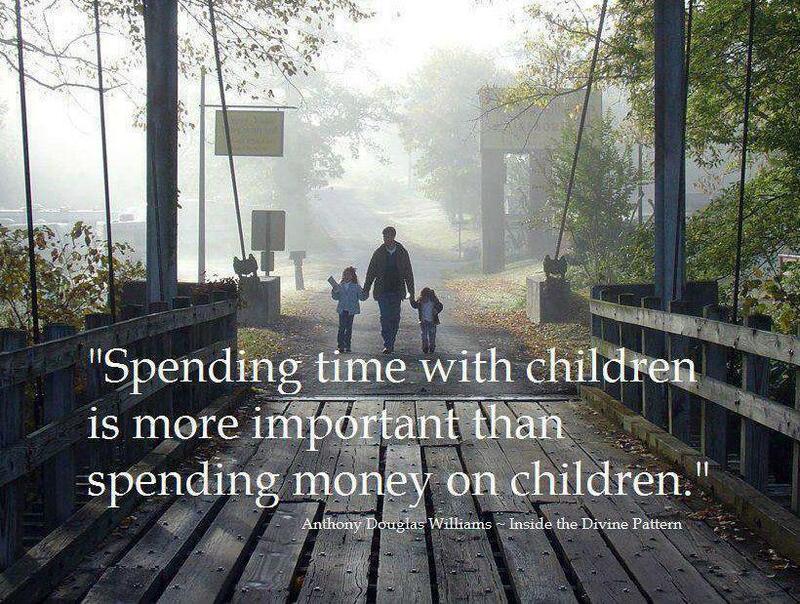 Did we spend time with our children and partner? Or were we self-obsessed or career-driven? In January each year I put together a photo book which shows the moments in time that the Woolsey Family collected the previous year. It is so good to look back through the books and see what we celebrated and what we did together. You don't see pictures of stuffed zebras or a new laptop...you see faces of my family at Bribie Island, birthday celebrations, riding bikes, at outings. These are the things we will remember as time goes on...these are the things we will reminisce about when our children have children and when we are old. So my challenge, as well as to you reading this blog, is to put as much emphasis on my family as I can each day so I can collect those precious moments. And to put less emphasis on the materialistic things of this world, and the activities that take us away from our valued relationships. Well it's been five months since Nick had his Lefort III mid-face advancement by way of the RED halo device. I thought you might be interested in seeing his before and after photos. Nick's top jaw was over-distracted because the plastic surgery had to bring his cheek bones so far forward. But over time his bottom jaw will grow forward so the overbite will not be as severe as it is now. His scars on his cheek bones are slowly fading.